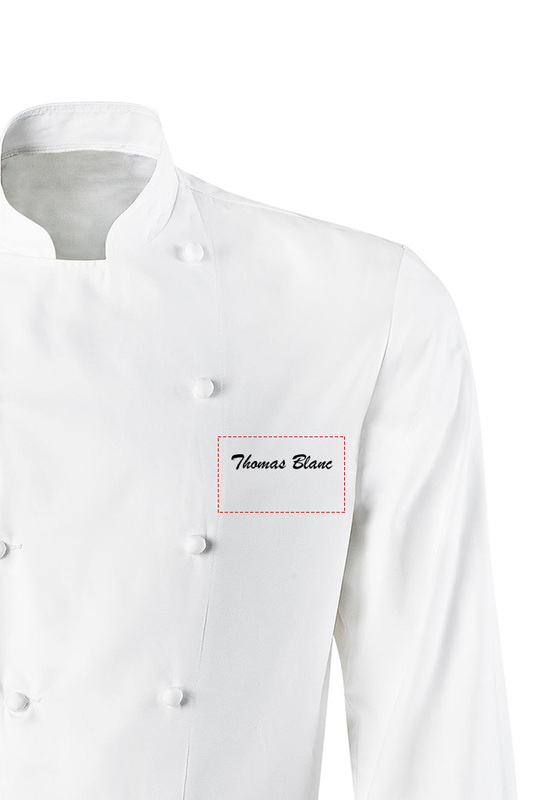 Ladies’ shirt-type chef’s jacket. Waisted cut. With saddle stitch trim. Button-down shirt collar. Placket with concealed press stud fastening. Princess seaming on front and back. 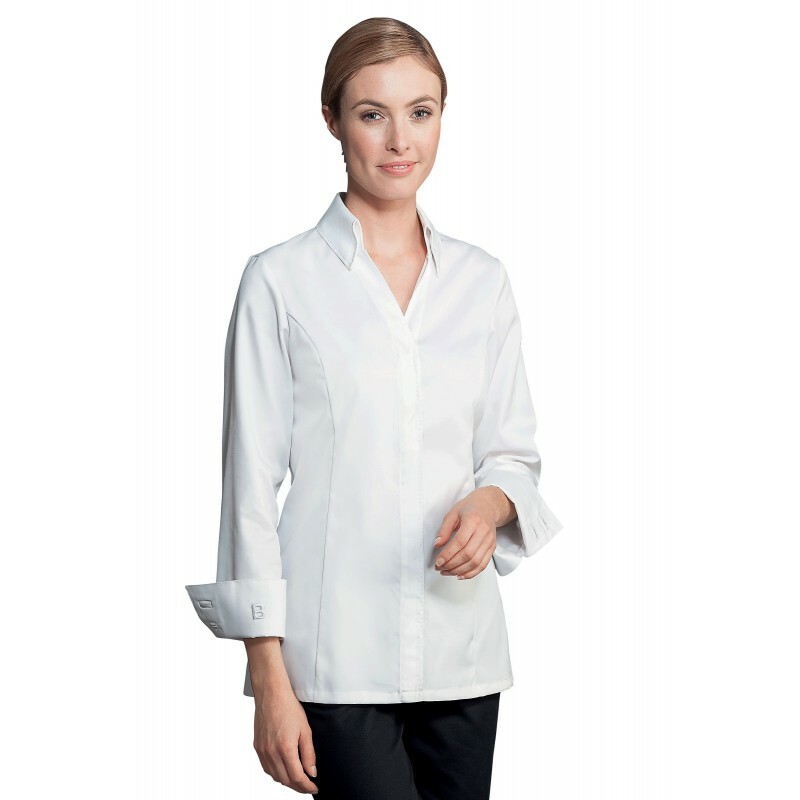 Long sleeves with turn-back cuffs and button hole trimmed with piping. Pen pocket on left sleeve. White "B" logo embroidered on right cuff. Side slits. Registered design.